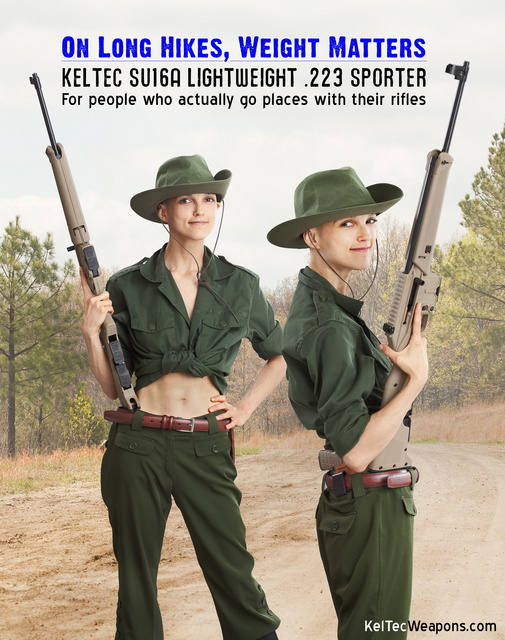 This entry was posted in rifle, weapon and tagged 223, green, keltec, SU16, woman. Bookmark the permalink. Neat. What’s the stock made out of? Took me a while to figure out how to take it completely down but you don’t need more than a pointy bullet to do it : ). The stock and foregrip are plastic. Ours is in black. It’s a nice little shooter. I know you’ve used that hat before. Where can I find one? I traded for it back in 1999. It’s been my favorite hat since. I have the C model, carbine. You can fold the stock and still shoot (Kalifornia doesn’t like that). Takes M-16 magazines. A little holosight makes it really nice.